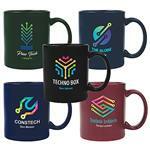 This 11 ounce ceramic mug with a C handle shows off your logo in full color for a great price. Email your graphics to us and we will show you how it will look on this item. 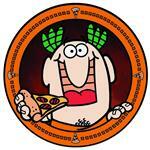 Microwaveable with full color wrap around imprint! Need an appreciation gift, retail for stores? This custom mug is great as a fundraiser, for retail, or as a thank you or for schools. 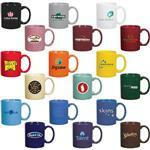 Call 888-332-ADCO for more mug sizes that are full color as well. Dimensions: 4 3/4" W x 3 3/4" H x 3 1/4" D.
11 oz. ceramic mug with custom full color imprint. Hard Surface Mouse Pads 8" Round x 1/16"